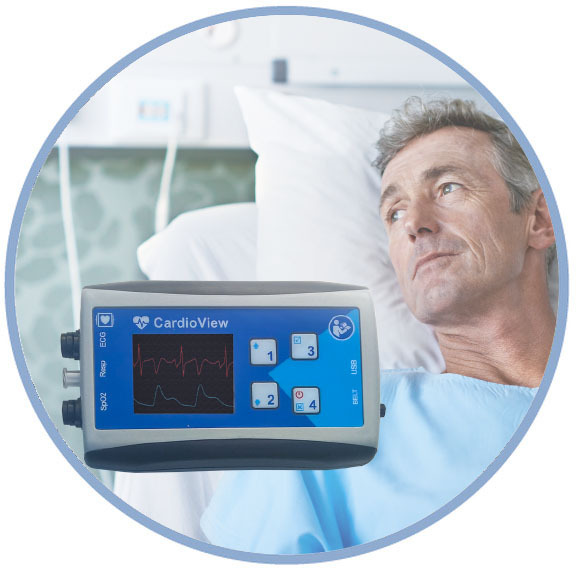 The BioSigns Ventilation Monitoring application is designed to help medical professionals provide the best possible level of care by ensuring they have the most recent information, at all times. Our system transmits clinical data from a ventilation device to a remote station, where members of their medical team can review and analyze it. With traditional systems, caregivers have to visit the patients at their homes to check the equipment, take the data from the device and send it to the physician for interpretation and treatment recommendations. This is expensive, time consuming, a logistical hassle and reduces the number of patients that a home care provider can service. BioSigns eliminates a large part of these issues by allowing home care providers and physicians to remotely check on the patients. Service calls can be reduced to the minimum required, as the service parameters are also received remotely. Most of the service visits are related to user error and can be solved remotely. Telemonitoring of patients using ventilation devices is becoming increasingly seen as a necessity. A recent study performed by the world famous Cochrane Collaboration—a worldwide network of medical researchers and professionals dedicated to finding unbiased scientific evidence—demonstrates that telemonitoring creates better results. In chronic obstructive pulmonary disease, home ventilation significantly reduced the number of hospital admissions, cost and use of resources. With BioSigns, you get all the benefits of a typical telemonitoring system, and more. Our unique design eliminates the need for a separate ventilation and telemonitoring device, since it combines the two. The BioSigns unit is connected to the data port of the ventilation device to collect and transmit that data in real-time to the BioSigns Server. Any computer with an internet connection and web browser can be used to monitor the data—anywhere and at any time.